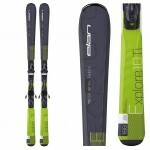 The ski that our in house racing expert described as ‘the industry’s best go between for race and all mountain skis’. That pretty much sets the tone. 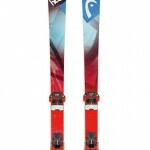 With tip and tail rocker, the Code UVO floats over crud and powder as if it were air. Although it can’t quite compete with the market leading big mountain models, for anyone who is looking to spend up to 70% of their snow-time on the groomers; Volkl has the answer. 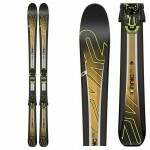 What the Volkl loses in powder and off-piste ability, it more than makes up for by its slope side performance. The parabolic rocker means initiating turns is fast and clean, while a camber profile underfoot ensures solid and stable carving, even at high speeds. A lack of metal in the ski’s core reduces the overall weight of the Codes, meaning they can be thrown around in tight slalom turns with ease. 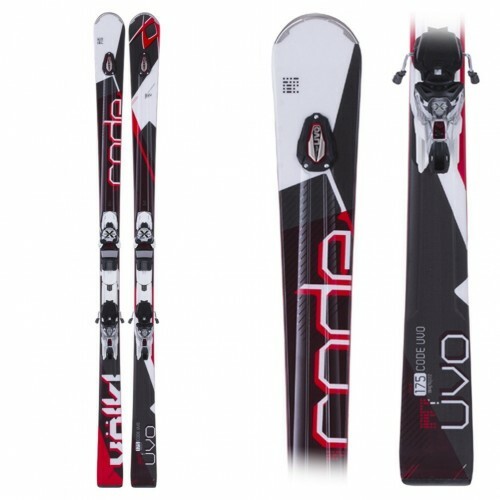 Volkl’s attempt to enhance the ski experience through Research and Development has resulted in UVO. The ‘Ultimate Vibration Object’, whose sole purpose is to absorb any vibrations which are created by aberrations in the snow resulting in a more stable ski, providing a platform to allow advanced skiers to drive off of. 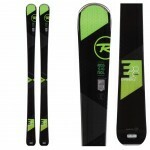 Volkl Code UVOs, carve like a tuned-down race ski and can be let go like an all-mountain model. A true all-rounder.